As with most health practitioners, the first visit to Health and Energy, PC begins with a review of your detailed Health History Form. We take a more holistic approach to patient care so you may be asked questions that appear unimportant (questions about your sleep habits, your ability to tolerate heat or cold, your dietary habits, etc.) but are actually vital to the type of care you will receive. 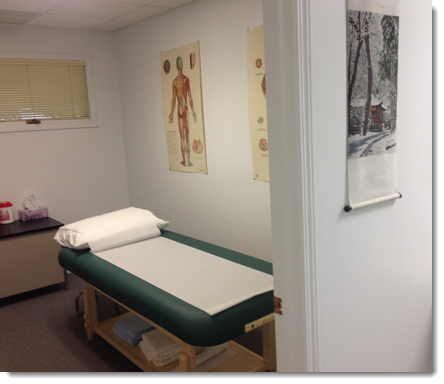 After reviewing your history, we will begin diagnosing your concerns and the reason for your appointment. As we begin treatment, we usually share some information with you throughout the exam and treatment process. Depending on the seriousness and the length of your condition, your first visit may take between 30-60 minutes. It may take several visits to see significant improvement or cure your condition. As with any treatment plan, however, make sure that your questions are answered completely, and that the treatment plan seems viable and reasonable. If you don’t understand a particular technique or type of treatment, make sure to ask.